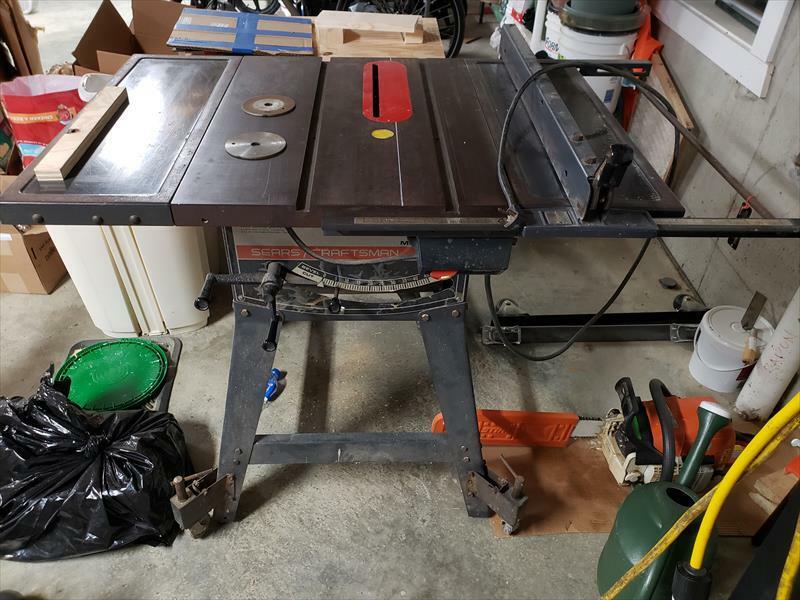 Sears/Craftsman 12" Contractor Table Saw. Model 113.24181. 220 volt direct drive. The saw runs very strong and is a great general construction saw. It includes a 12" blade that came with the saw when I acquired it, associated stabilizers, and fence. I am moving toward more fine woodworking and looking to pass the saw along. The blade guard is missing, and the saw is used.